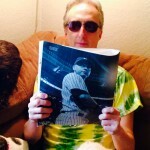 TEXT STEVE TANNEN ON SPORTS TALK! 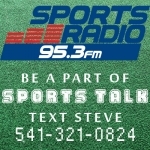 Text Steve at 541-321-0824 to get involved in Crunch Time and Sports Talk from 3-6 every weekday. He even uses the textline to give away prizes! Be sure to stay in the loop. Listen to Alex Braga and Nick Rogers every Friday during football season, then check in with Alex every Friday during basketball season. 95.3 The Score’s coverage of high school sports is brought to you by Bi-Mart. Get ready for your season for less at Bi-Mart! Miss any of Steve’s interviews from this week? Check here to catch up.